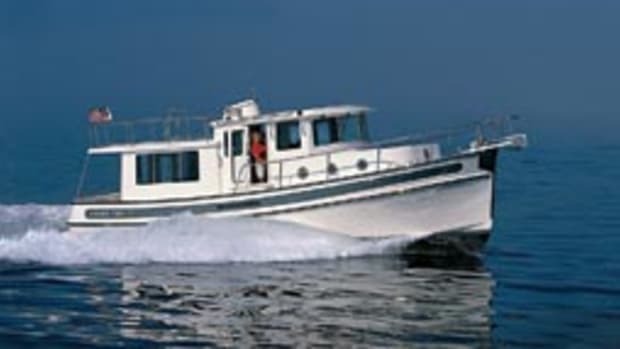 Smart boats get my attention. 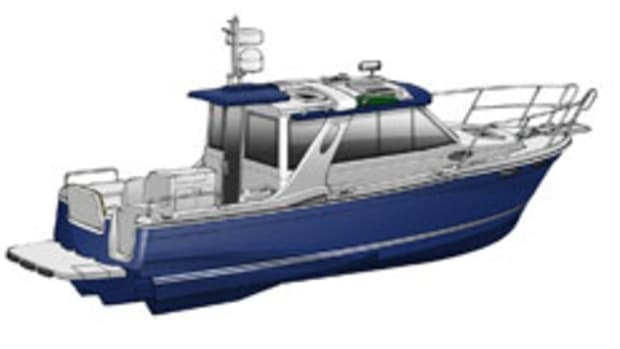 Take the new Ranger Tugs R-31, a single-diesel, semidisplacement trailerable trawler with a retractable flybridge. 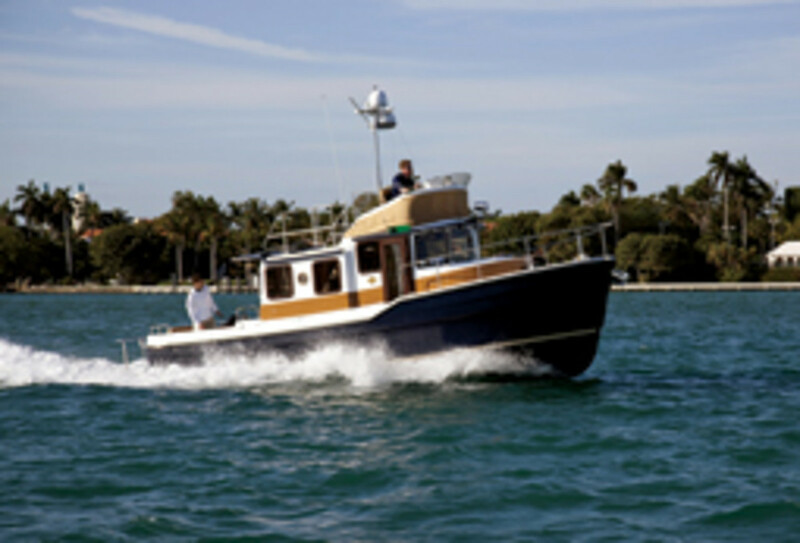 Messmer and I took the R-31 for a short sea trial in February at the Miami International Boat Show. 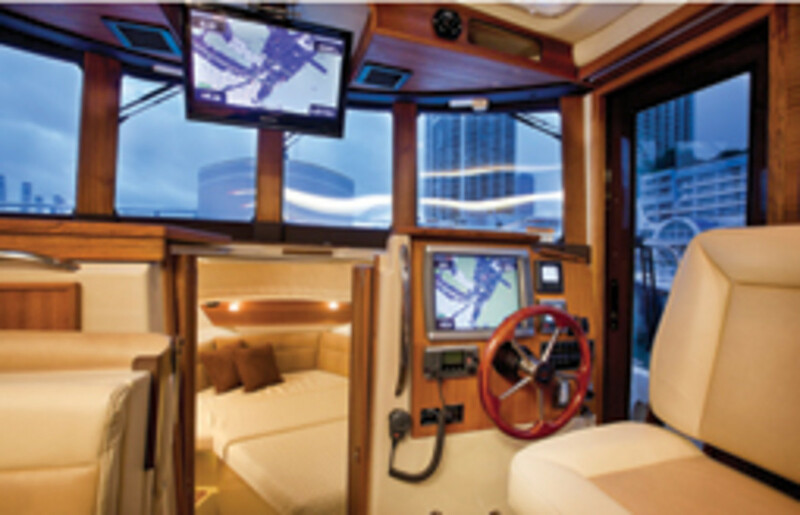 We piloted the boat from the flybridge, but she can also be driven from helm stations in the pilothouse and cockpit. 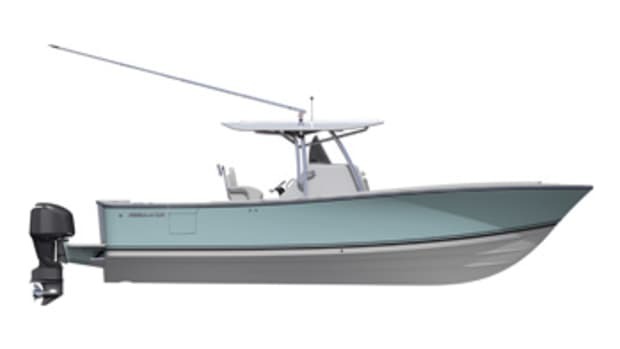 Standard bow and stern thrusters complement the 300-hp Volvo Penta D4 diesel, which pushed the R-31 up on plane with minimal bow rise — not surprising for such a light boat. At a 7-knot displacement speed, the D4 burned 1.5 gallons an hour for a 4.7-nmpg mileage rating. 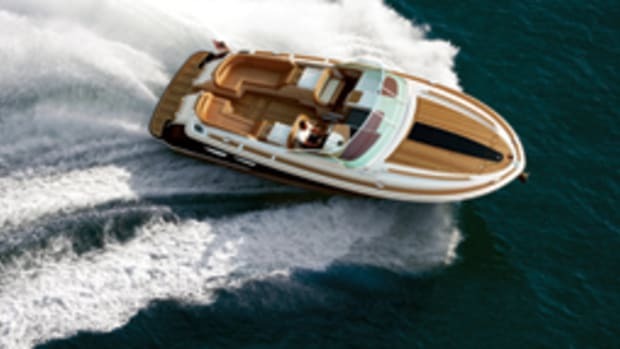 The engine gauge showed a fuel burn of 15 gph at 24 knots for a 1.6 nmpg rating. Accommodations include a forward stateroom with an island berth and head and shower, and a midships stateroom with a berth and day head. 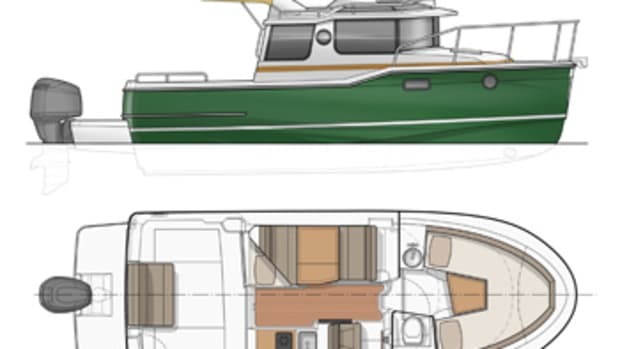 The cockpit has a transom bench seat and two seats that fold out of the port and starboard gunwales and slide outboard, so you will be sitting over the water. Kind of cool. Access to the centerline engine is excellent, with adequate space all around. 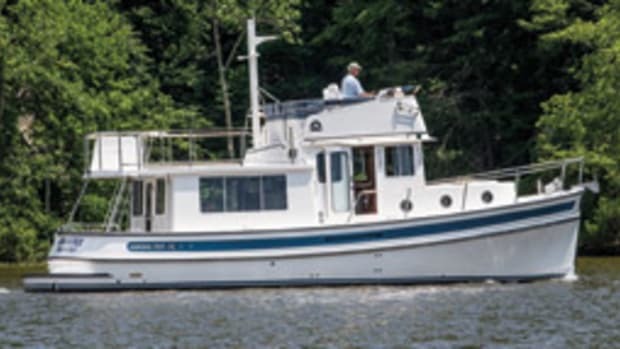 Standard equipment includes the thrusters, a windlass, trim tabs, a 2,500-watt inverter, a cockpit refrigerator, and a fully equipped galley to starboard in the pilothouse with an electric oven, a refrigerator and a two-burner cooktop. Base price is $279,937 with the 300-hp D4. 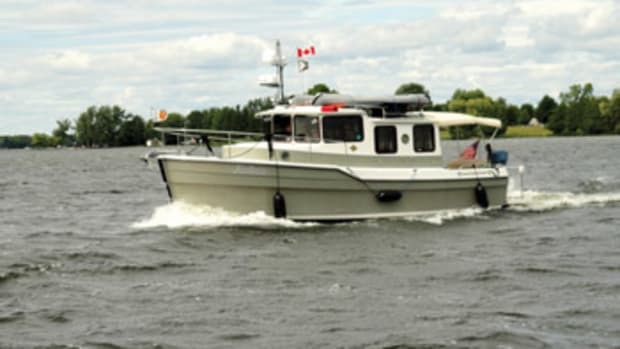 Click here to find more Ranger Tugs.